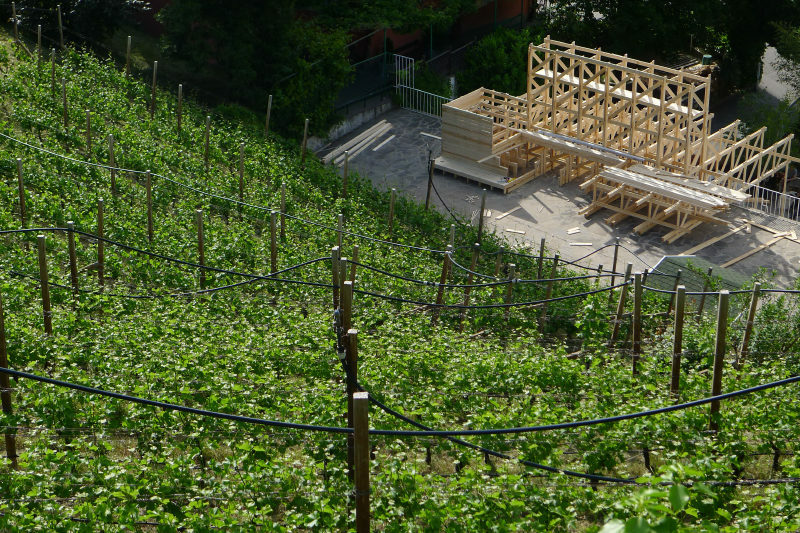 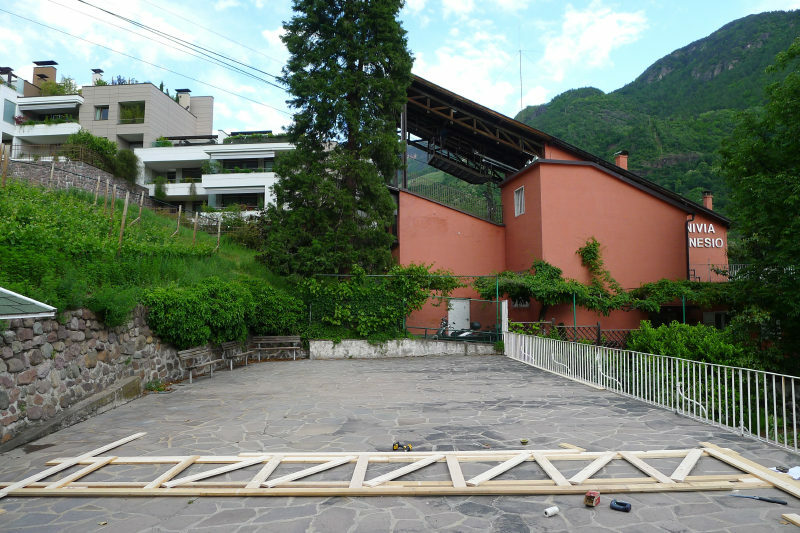 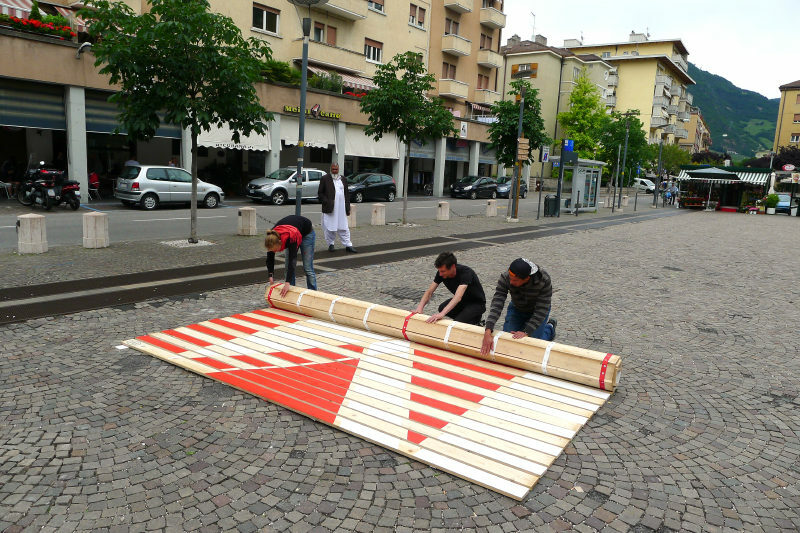 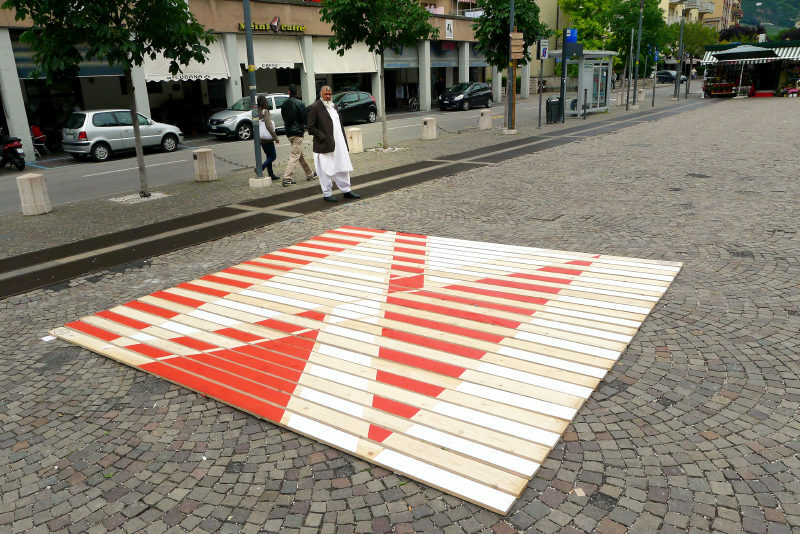 To celebrate the ten years existence of Lungomare project space in Bolzano, Angelika Burtscher, Lisa Mazza and Daniele Lupo transform their place into a temporary Gasthof, opening during one month in June 2013. 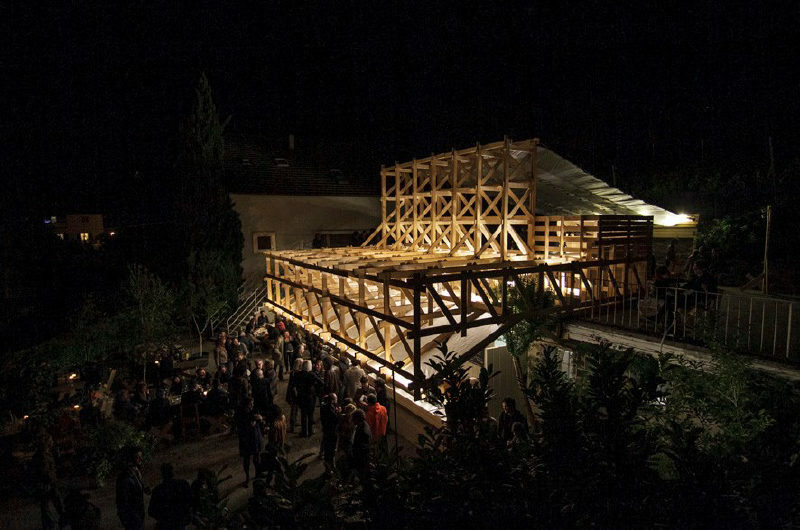 The challenging program is reflecting the place’s past ten years of activity, bringing local and international cultural producers together with many past and future fellows. 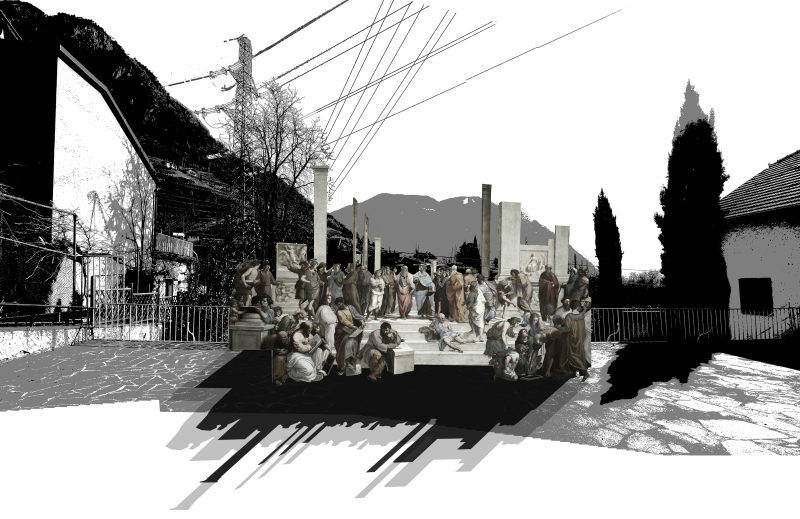 Here in Trentino-Alto Adige, in the alps far away from the sea, the promeneur encounter at Lungomare the Teatro del Mare, is a contemporary interpretation of ancient greek theatre ruins. 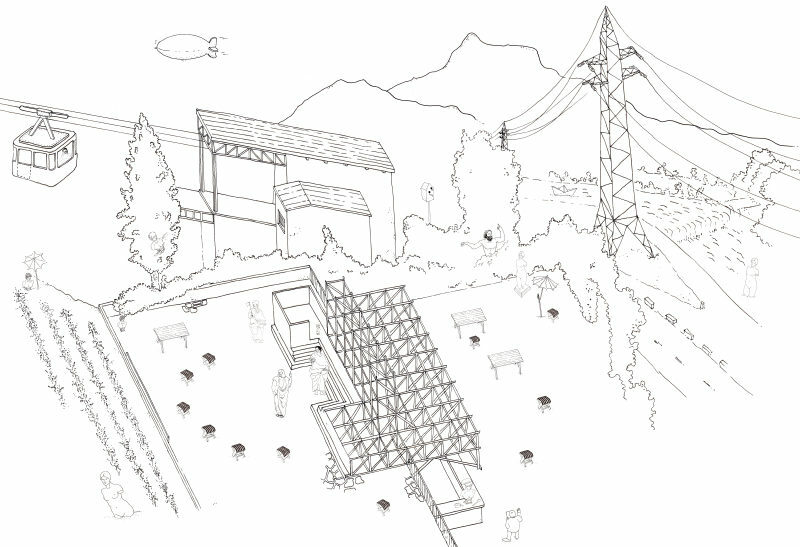 Despite of this imaginary, built out of wooden boards, it’s structure is reflecting the technological landscape of the cable car and electric pylons rather than the traditional architecture and picturesque idea of the mountain landscape. 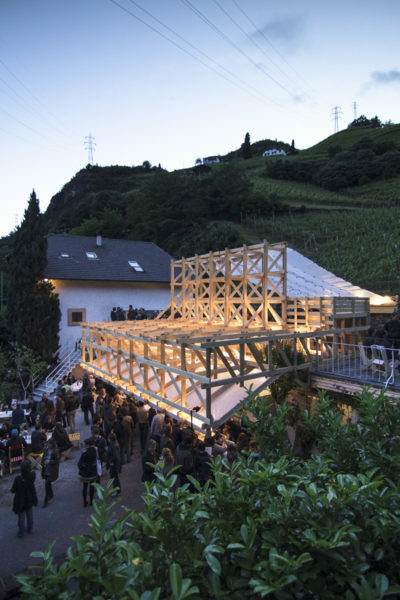 The stage itself, with it’s wide canter-liver, forms a protective roof for an open bar and kitchen stage which is brought to life by the good food by Uli Gamper and a stimulating program of talks, cinema screenings, concerts and performances. 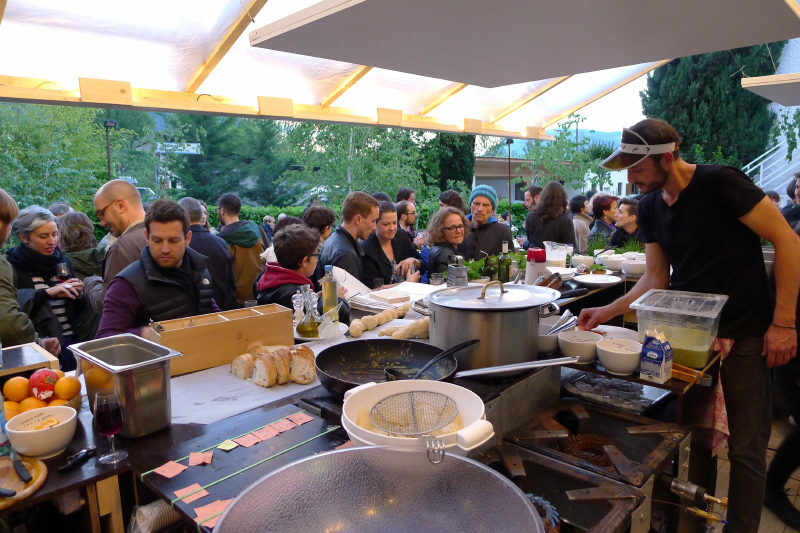 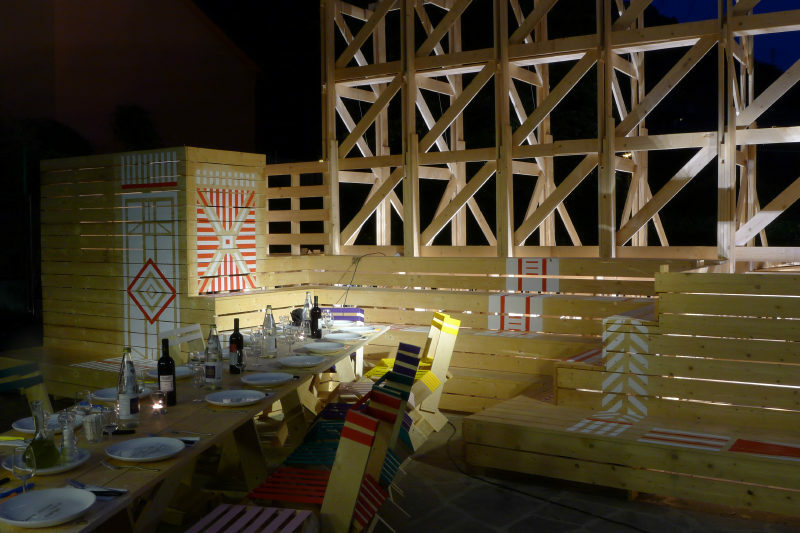 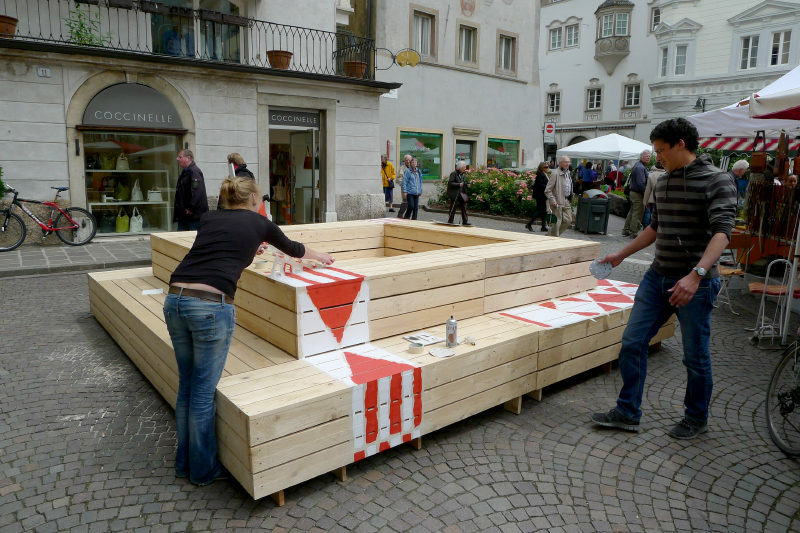 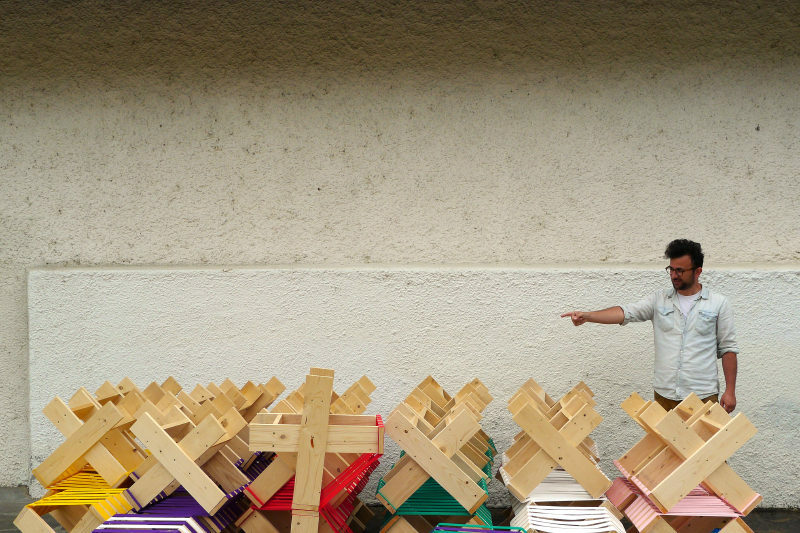 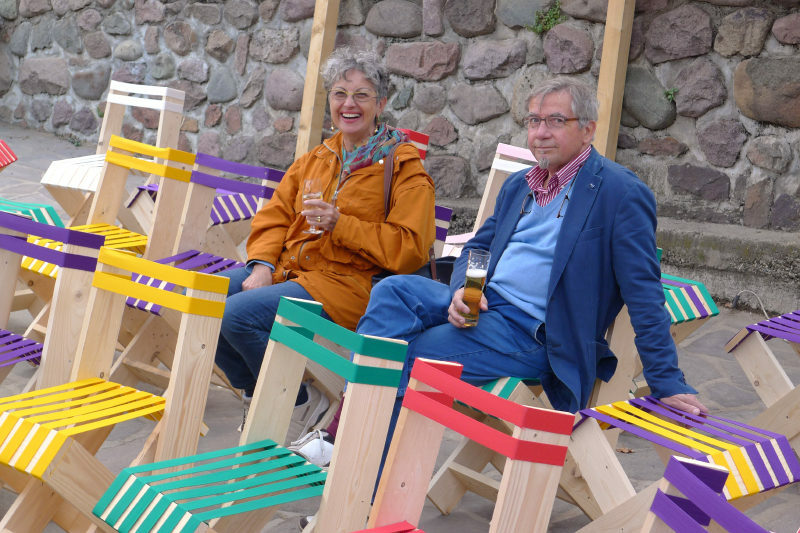 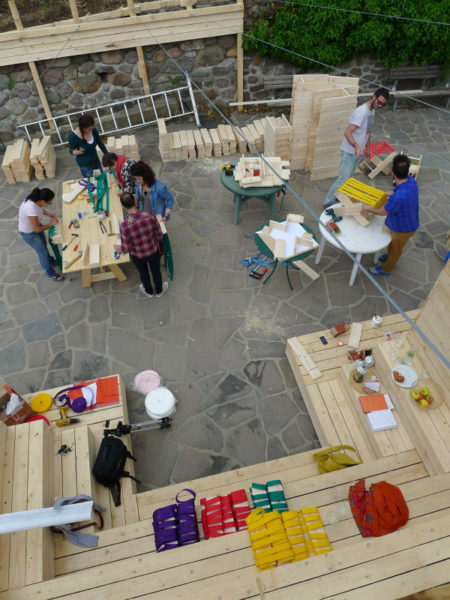 Additionaly, the Bolzano based designer Simone Simonelli proposes a furniture making workshop and Luigi Coppola performs on several stages around in the city with inhabitants.